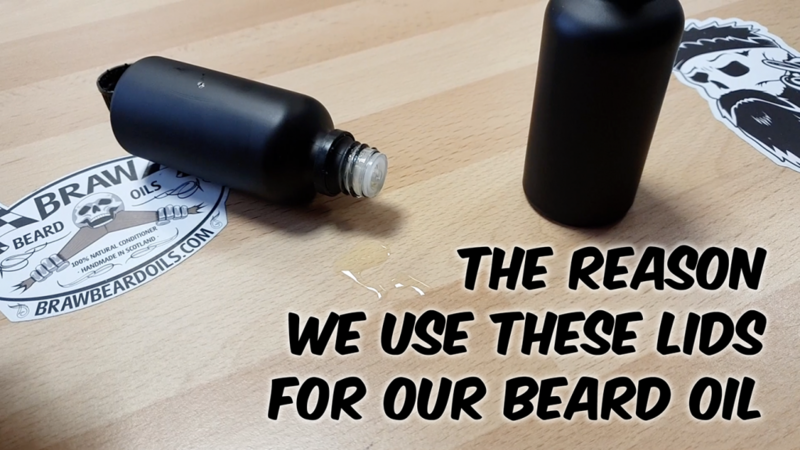 One question we get asked regularly is how often to apply beard oil without overdoing it. Beard oil is a leave-in beard conditioner that should be used regularly to keep your facial hair soft, hydrated and looking attractive. The natural ingredients moisturise the skin at the hair root, which will keep the dreaded beard dandruff away while soothing itchiness and irritation. So, how often should you apply beard oil without overdoing it? The answer varies from person to person because everyone is different. Too little will leave your beard feeling a little dry, too much will feel greasy. BUT, I will explain the best guidelines, then you can adapt slightly to suit your own needs. 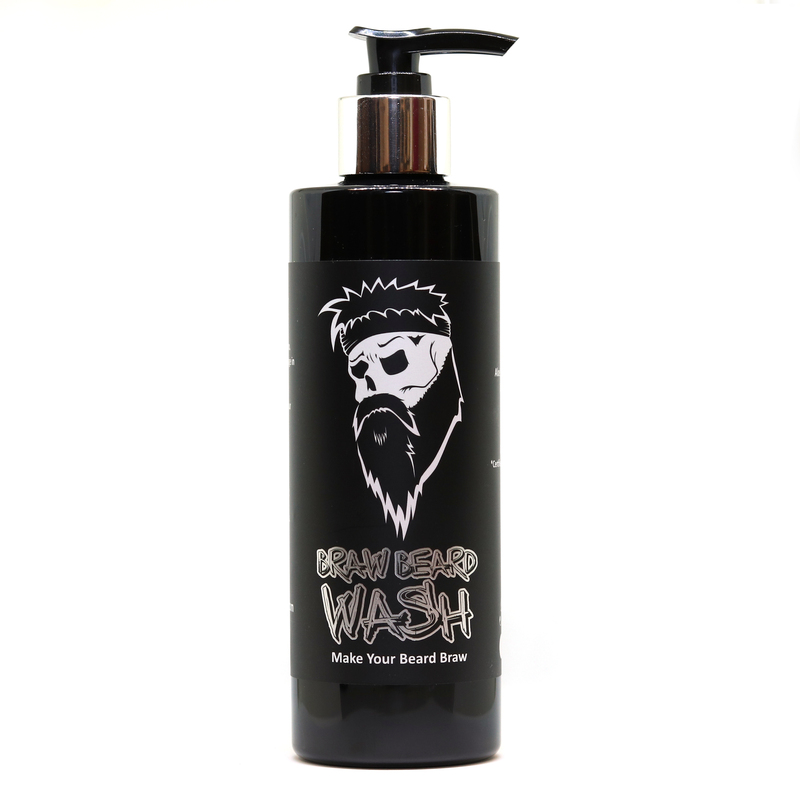 Use Braw Beard Wash first to ensure your facial hair is clean and give the beard oil the best foundations to work with. 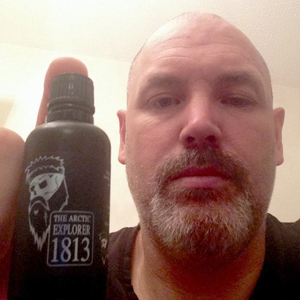 Once your beard has been towel dried, now you are ready to apply Braw Beard oil. To start off with I recommend dispensing a few drops (around the size of a 5 pence piece) into the palm of your hand. That is a good amount for most sizes of beards. 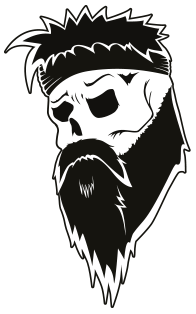 Beard oil is not water based so does not evaporate, it does get absorbed by the skin and hair though. For that reason you do not want to apply too much because that will leave pores blocked, skin greasy and the perfect ground for spots to appear. The best bet is to start of small and add more if needed. If you are just starting on your beard journey, I’d recommend just 3-4 drops of beard oil for any length between stubble and 1cm. That will ensure enough coverage to condition the hair. 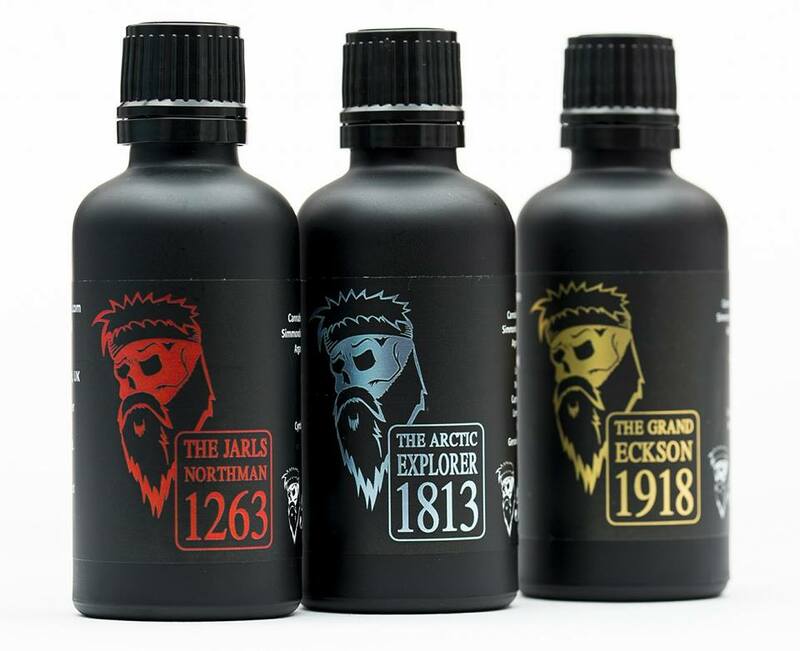 This is the most popular range for beards at the moment. For this length, I’d recommend dispensing a few drops into your hand until you have roughly an amount the size of a 5 pence piece or dime. That should be enough to cover your facial hair nicely. This is where it comes down to personal preference, at the moment, my beard is 25cm. 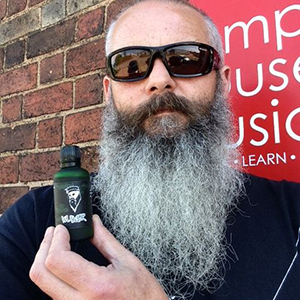 I use the size of a 2 pence piece worth of beard oil to get my ideal look and feel. For you, it may take some experimentation to get the right amount, it isn’t an exact science though, it’s personal preference. How often should I apply beard oil? 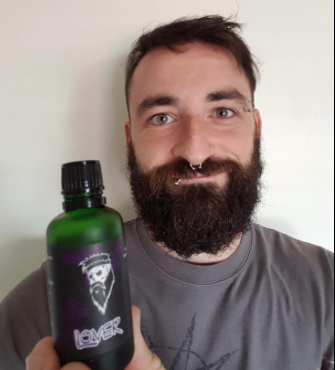 I recommend using Braw Beard Oil every morning, once a day is ideal for me but many of the Brawtherhood like to apply a little before bed too. Try it and see what works best for you. 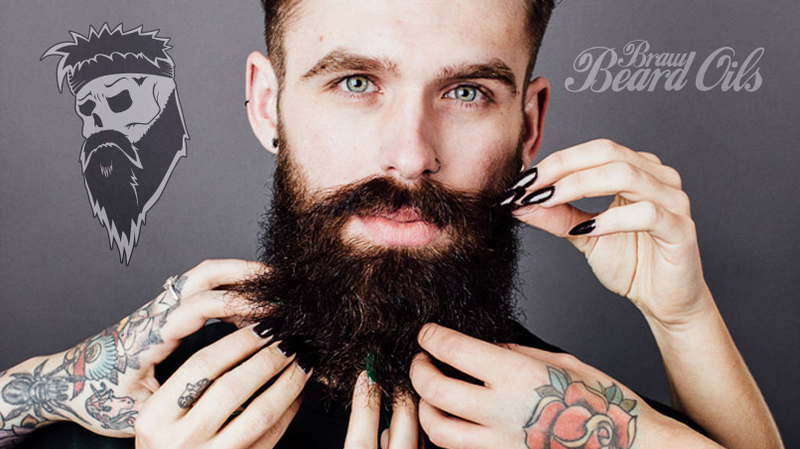 When is the best time to apply Braw beard oil? The best time to apply is after washing in the shower/bath (with Braw Beard Wash), the hot water will have opened the pores, leaving them in an ideal state to absorb the beard oil. Gently towel dry your beard, don’t rub it too much, this will potentially pull out your hair. Then dispense a few drops of your chosen Braw Beard Oil into the palm of your hand, rub your hands together to get full coverage. Next, glide your hands over your beard, the underside too whilst massaging the beard oil down to the roots and skin underneath (this will moisturise any dry skin). Once you are happy with the beard oil amount in your facial hair, take a comb or brush and gently start to comb/brush the oil through for more even distribution. You will notice a nice difference after one day, but for the best effects, use this routine daily. You will enjoy the compliments and attention. Thanks for reading. I appreciate your time and support.